CMBG3 Law reported yesterday on the start of the first asbestos-contaminated talcum powder trial in California. Later in the day, the Judge declared a mistrial and so a new jury will be picked and the trial will resume at a date to be determined. The reason for the mistrial was that the plaintiff tetsified that she stopped using talcum powder products in the 1990s because she heard rumors that talcum powder can cause ovarian cancer. The judge previously ruled that no witness or attorney could mention ovarian cancer during the trial, since the pending trial involves asbestos-related claims and mesothelioma, not ovarian cancer. Tina Hereford claims that she used Johnson & Johnson’s Baby powder product in the 1950s and the company’s Shower-To-Shower product for decades until the 1980s. She also used the talcum powder product on her children until 1993. In October of 2016, Hereford was diagnosed with mesothelioma (a rare form of cancer affecting the lung lining), which she attributes to asbestos-contaminated talc in Johnson & Johnson’s products. 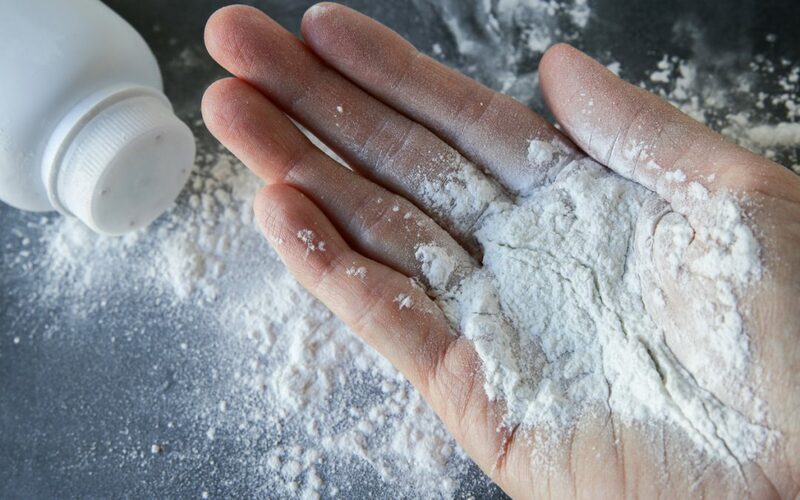 Plaintiff contends that Johnson & Johnson knew that the talc that it used in its products contained asbestos as early as the start of the 20th century up until the 1970s. Plaintiff further claims that Johnson & Johnson took active steps to conceal this information from the public. Johnson & Johnson denies that it concealed any information from the public and further contends that the studies that plaintiff relies on to suggest that the talc used in Johnson & Johnson’s products contained asbestos were not taken from the same sources from which Johnson & Johnson obtained its talc for the products used by Hereford. Johnson & Johnson will argue to the jury that Hereford’s mesothelioma was causes by 30 sessions of radiation that she underwent in 1998 to treat her breast cancer.